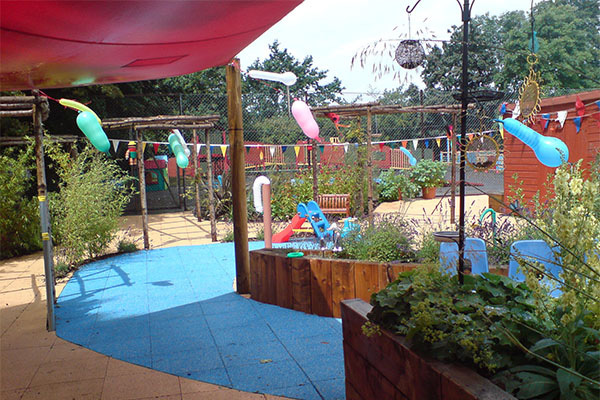 We love to design private gardens of all shapes and sizes, sensory gardens and gardens for children, as well as commercial spaces. 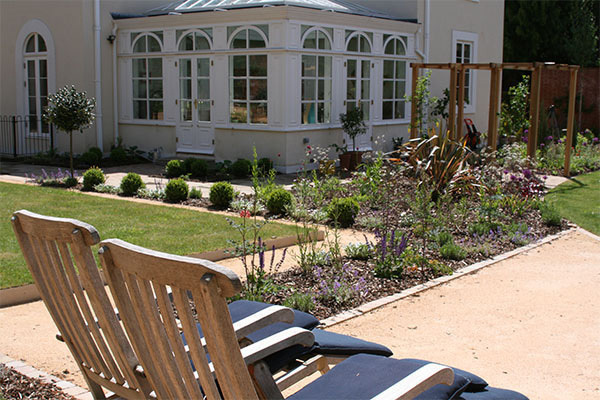 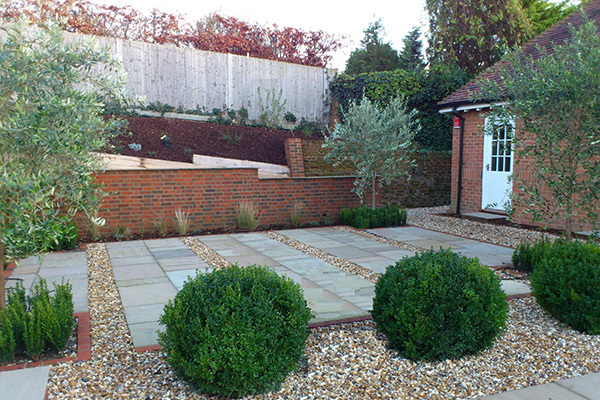 This garden was designed for a very good friend of Sarah Bicknell, who helped her after a skiing accident. 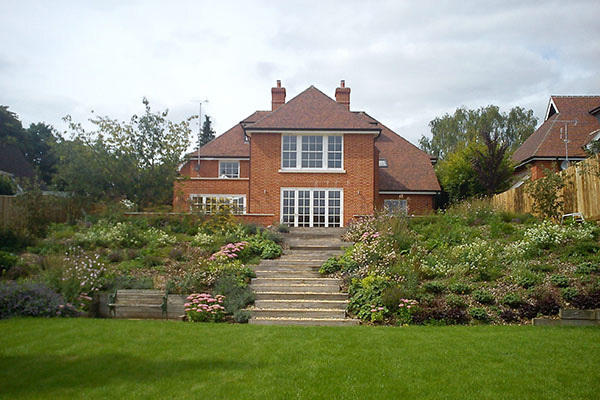 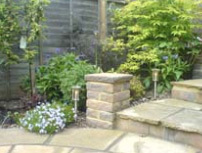 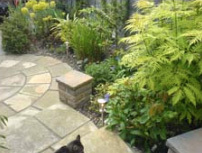 Sarah sneaked round to Emma’s house while she was at work to measure up, designed her a ‘socialising’ garden on two levels, then entered the Daily Telegraph Garden of the Year 2004 awards. 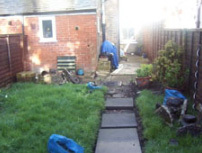 Imagine our surprise when Sarah won the competition… Emma got a £10,000 garden makeover. 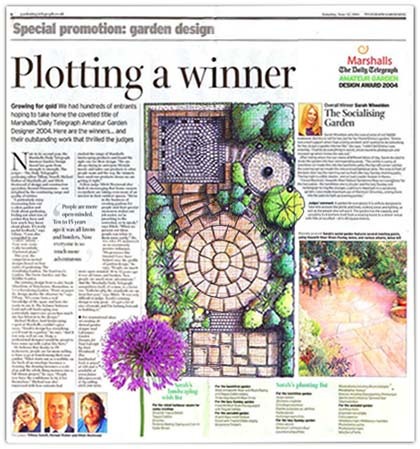 To read the full Daily Telegraph article ‘Plotting a Winner’ click here. 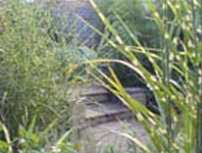 To read the follow up Daily Telegraph article ‘Sarah’s Secret Garden’ click here. 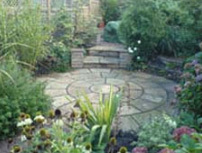 Designed for the 2005 Channel 4’s Great Garden Challenge. 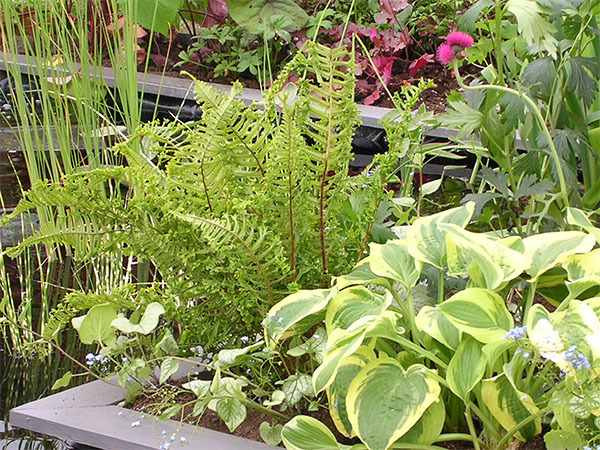 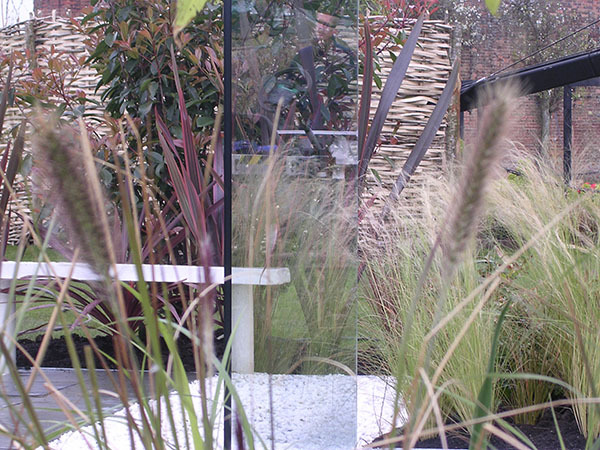 A contemporary garden inspired by natural elements… Fire Water Wind and Earth. 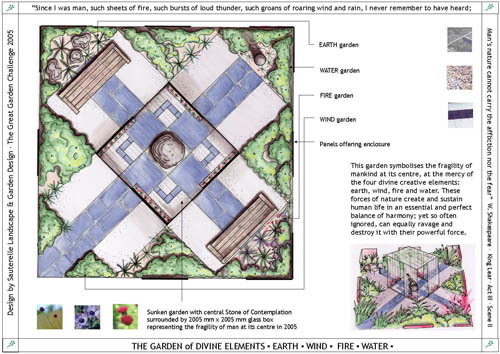 Competing against one other team, we had three days in which to build the “Garden of Divine Elements”. 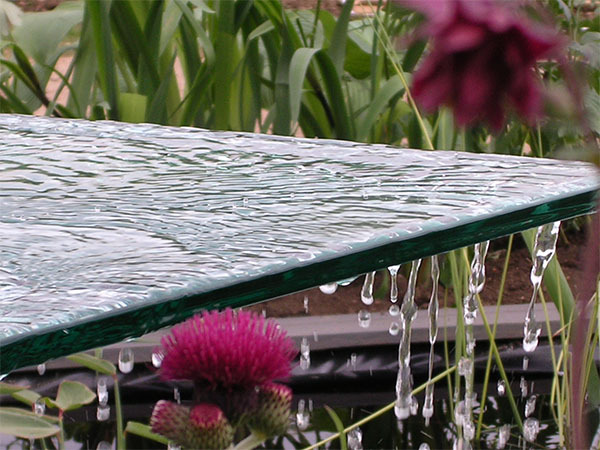 Sarah’s team mate and helper was Andy Ramus, an architect who specializes in wonderful glass structures. 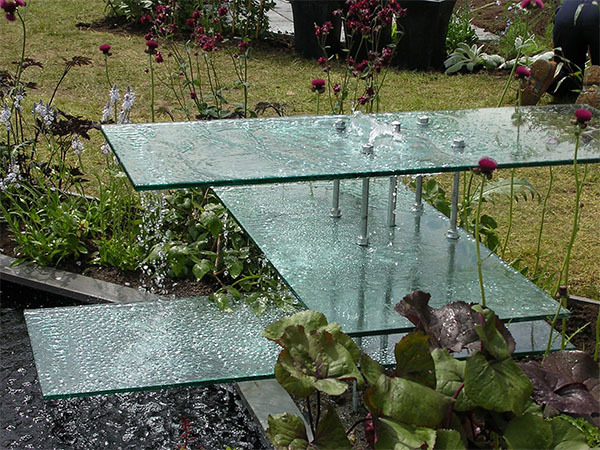 He engineered a fantastic glass cube, a sort of sunken room in the centre of the garden, from which to sit and soak up the lush green foliage surrounding it. 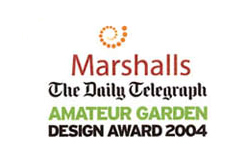 We won the competition and are now through to the quarter finals, so are busy with the next design! 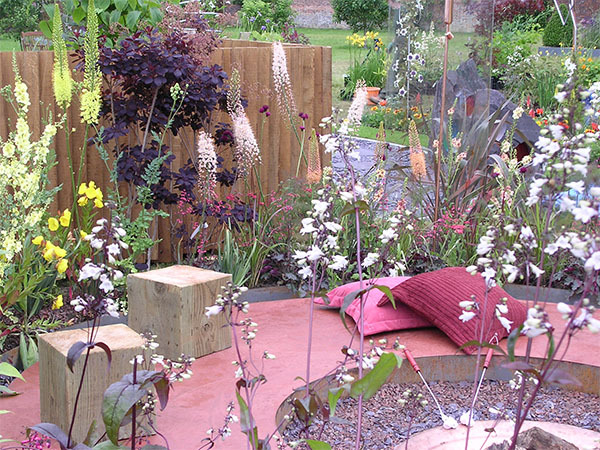 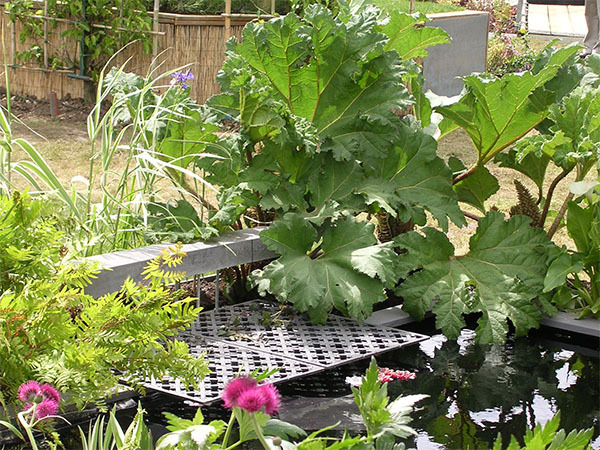 In the meantime, please visit the Channel 4 Great Garden Challenge website for more information. 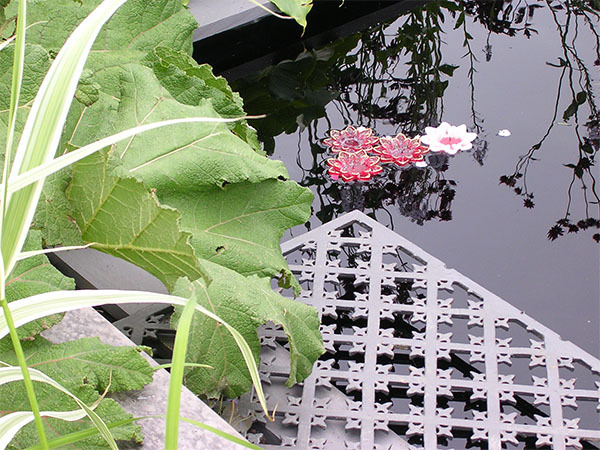 Continuing the theme of the elements, Sarah designed ‘Fallingwater – a homage to Frank Lloyd Wright’ for the Quarter finals of the Great Garden Challenge. 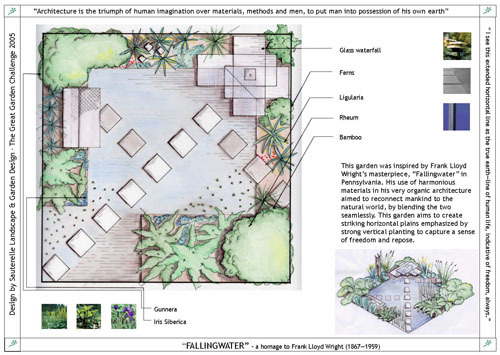 Inspired by Frank Lloyd Wright’s masterpiece ‘Fallingwater’ in Pennsylvania, we aimed to create a contemporary water garden using striking horizontal plains of the cantilevered glass waterfall emphasized by strong vertical planting. 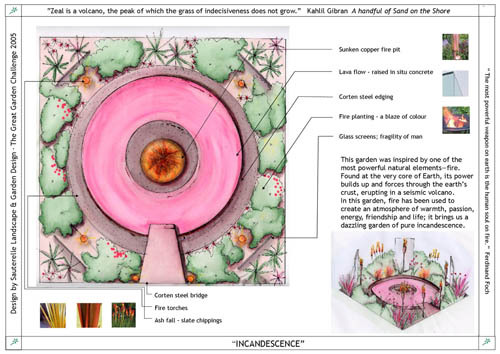 For the Semi finals we wanted to continue with the theme of the elements and create a beautiful, warm, inviting fire garden – ‘Incandescence’. 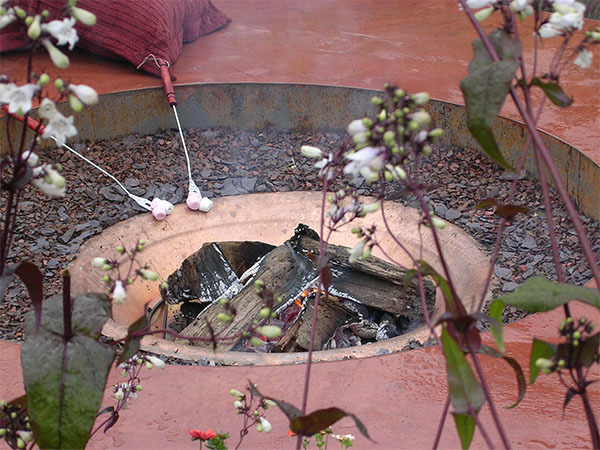 This garden was inspired by a volcano, with a copper fire pit at its core to toast your toes (or marshmallows) by! 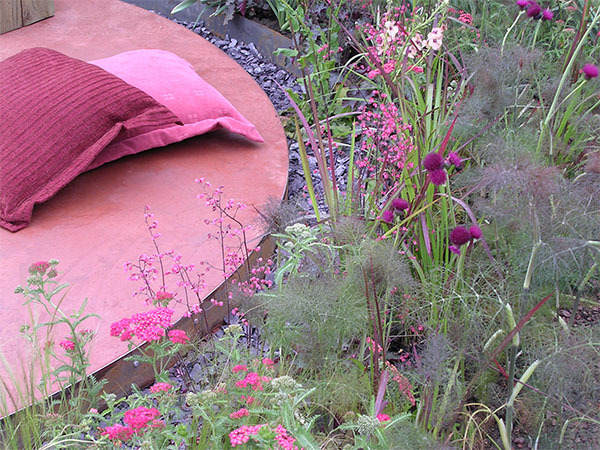 Six copper citronella oil lamps keep the bugs at bay, and a wonderful concrete circle ‘lava flow’ provides a convivial seating area that absorbs the heat of the day and keeps your bottom (and bottle of wine) warm in the evening. 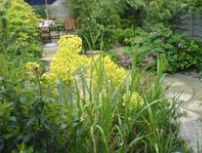 This is a garden bursting with warmth, passion, energy, friendship and life. 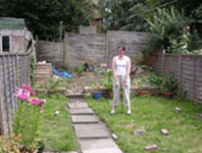 Sadly, here our luck ended. 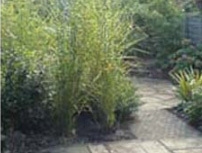 We were squarely beaten by the ‘Pie Boys’… probably just as well as we weren’t quite sure where the theme for the final garden ‘Wind’ would take us… mind boggles.